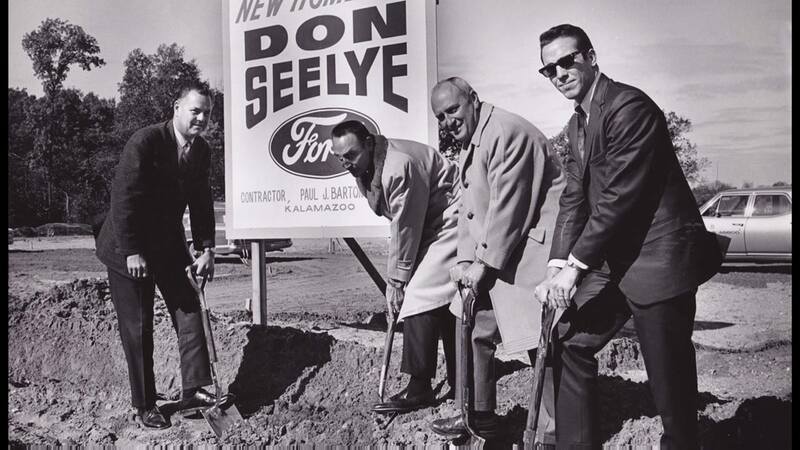 Loyalty and leadership built the strong foundation of Seeyle Ford. During World War II, the Seeyle Ford founder, Donald J Seelye, served in the United States Marine Corps. While courageously fighting for our freedom in the Battle of lwo Jima, Don was wounded in World War II. While recovering at Walter Reed Hospital in Bethesda, Maryland, Don received a purple heart and personal visit from President Harry S. Truman, thanking him for his sacrifice. Donald J Seelye, sadly passed away in 1997, and his discipline, commitment to others, and attention to detail live in our dealership today. Donald J Seelye’s pledge to being involved and giving back to our community has always been a priority. This deep community involvement has been passed down from generation to generation by his sons, Mike and Pat Seelye, and grandson, Mickey Seelye. With Mike Seelye’s vision and leadership, this year marks the 20-year anniversary celebrating the Donald J Seelye and Steven Little Tyler Memorial Golf Classic. Proceeds from this event are distributed to the American Cancer Society for continued research and financial assistance for those in need. Seeyle Ford’s love for the community has earned them well-deserved recognition. On November 3, 2017, Seelye Ford was presented a Certificate of Appreciation by The American Legion Department of Michigan. We were given this award in appreciation for exhibiting outstanding Citizenship by the display of the United States Flag. In December 2017, The Honor Society of American Veterans presented Seelye Ford with a plaque in appreciation and recognition of our continued display of patriotism and national pride for our United States Flag display.